These are the employees that manage your money, invest your wealth, and negotiate your home and life insurance. But are they happy? Turns out, not so much. 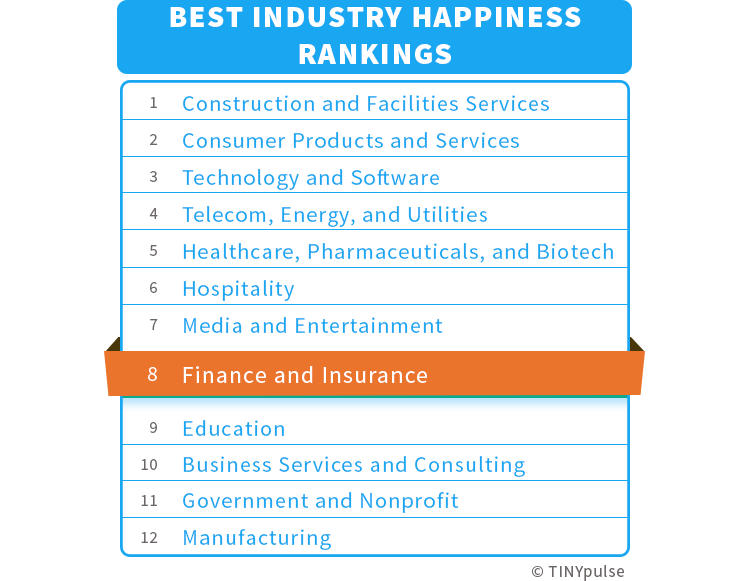 In our Best Industry Ranking Report, a first-of-its kind analysis that reviewed over 30,000 employee responses across 500+ global companies, we found that Finance & Insurance workers ranked fairly low on the happiness scale, coming in the bottom half of all industries analyzed. In an industry known for relatively strong, stable salaries, we anticipated Finance & Insurance workers to show far higher happiness levels. And with this sector back on track and performing better than ever after the Great Recession, we thought they’d be a shoo-in for one of the happier industries around. We were wrong. In fact, only 22% of employees in this sector indicated that they were truly happy at work. This unexpected phenomenon intrigued us, and we dove right in to learn more. We explored responses from over 3,000 employees at nearly 60 organizations to understand exactly what factors were at play. Thanks to TINYpulse’s broad client representation—everything from wealth management and commercial banking to investment banking and personal insurance—we were able to capture a truly representative piece of this key sector. Transparency is not the culprit: Research on employee happiness shows a strong relationship between employee satisfaction and organizational transparency. As we’ll see below, transparency in the finance industry is not in short supply. Employee appreciation and recognition are low: A large driver of workplace satisfaction is feeling valued for a job well done. Our data show that within the Finance & Insurance sector, there is a lot of room to improve the amount of recognition and appreciation being doled out. There are low levels of satisfaction with managers: Employees are reporting discontent with poor communication, limited mentorship, and minimal time given to them by managers, all leading to general unhappiness. There are low levels of satisfaction with colleagues: When employees are dissatisfied with their colleagues, they will be dissatisfied with their workplace as a whole. Amongst Finance & Insurance employees, this is clearly an issue. Given the increasingly competitive landscape that new and established finance and insurance organizations find themselves in, these findings are extremely concerning. How can you compete when your employees are disengaged, managers are lackluster, colleagues are subpar, and motivation is at an all-time low due to underappreciation? You can’t. But all is not lost. Leaders that accept these findings have a chance to right the ship. Farsighted managers that measure their culture, put dedicated efforts towards recruiting and promoting properly, and leverage employee recognition tools stand a chance to make their organizations thrive. And that means a chance to hire the best, retain the best, and outshine the rest. 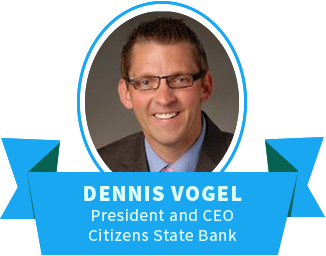 As we showed back in our 2013 Employee Engagement Report, transparency is an incredibly strong driver of employee happiness. So count us surprised that this unhappy industry was swimming in transparency. Employees are not uncertain about their goals, their managers’ expectations, or their companies’ objectives. Quite the opposite. 85% of all Finance & Insurance employees reported having a clear grasp of their roles and responsibilities, and how they contribute to their organization’s success. Expectations are clearly defined and I get frequent feedback on whether expectations are being met and/or exceeded. [My manager] went over my job description with me. Anytime she has anything new for me to do, she takes the time to go through it and explain to me anything I may have questions on. 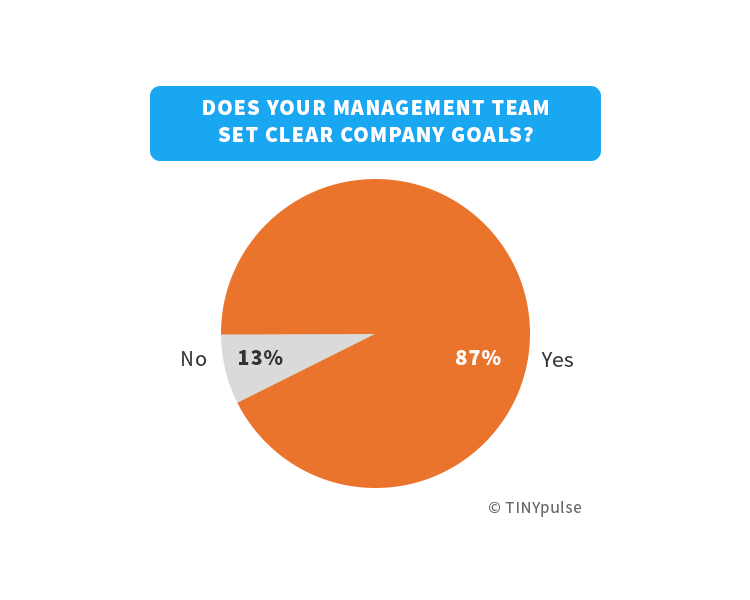 And to top it all off, 87% of all employees are saying their management teams are setting clear company goals as well. And as Vogel mentions, transparency fundamentally comes down to one core managerial behavior: “Communicate, communicate, communicate.” It is only with regular sharing of information, accountabilities, and expectations that organizations can achieve and sustain such high levels of transparency. If transparency isn’t the cause of this dissatisfaction, what is? It turns out recognition and appreciation, or rather the lack thereof, are playing a major role. 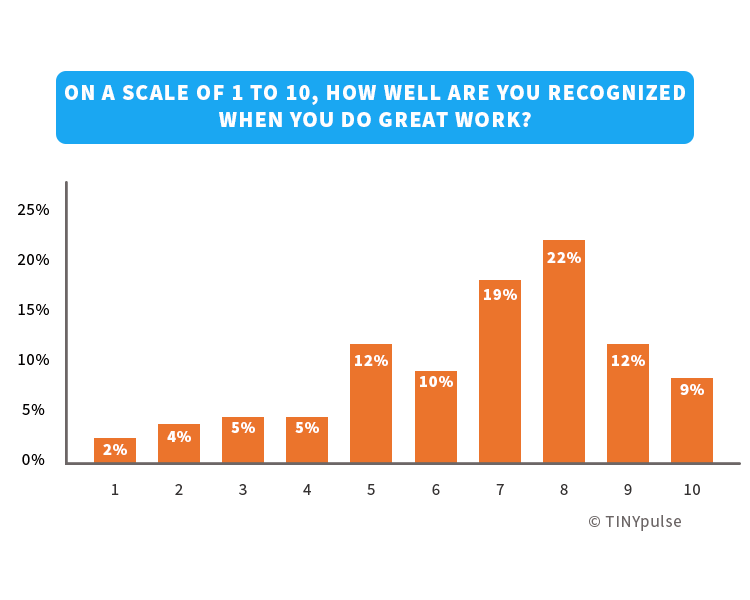 When asked to rate on a scale of 1 to 10 how well they were recognized for doing a great job, a paltry 21% answered a “9” or “10”, meaning very few feel truly well recognized on the job. Is it any surprise, then, that when we we asked employees how valued they felt at work, only 20% said they were strongly valued? I do great work all year, very rarely do I even get told I'm doing a good job. Come review time all is forgotten and I'm only reminded about a few things I could have done better. Maybe it’s to make me grow, maybe it’s because you know it'll keep me working hard to try to please someone, either way its depressing. I am not looking for a pat on the back every time I do something for a co-worker or a customer. But I think my hard work has been ignored. I have gone above and beyond in many ways and never recognized for it. No recognition or acknowledgement for hard work, commitment and achievement. Extremely disappointing. Lately have felt no matter how much work you do it is not recognized, only the bad things are brought to light and blown out of proportion. One or two people may say "Good Job" but for the most part, I feel as if the perception of me is that I am a waste of cubicle space. 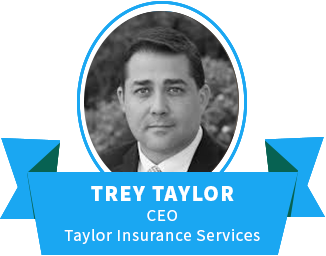 Trey Taylor, CEO of Taylor Insurance Services, explains that a large part of this recognition malaise can be attributed to the nature of the job. Taylor notes that insurance agents suffer from long delays between when they complete a sale and when a client will benefit from its payout. An agent rarely sees the value of what he’s sold to the client and almost never gets recognized for selling-in something that has huge impact to the beneficiaries. Recognition improves KPIs: According to Human Resource experts Bersin & Associates, engagement, productivity, and customer service are 14% better in organizations where recognition occurs. Recognition impacts motivation: Socialcast found that 69% of employees said they’d work harder if they felt their efforts were better appreciated. Recognition keeps turnover low: Globoforce found that 55% of employees not being formally recognized at work would consider leaving their workplace for an employer with a formal recognition program. Millennials expect frequent recognition: PwC found that 41% of millennials expect recognition at least monthly vs. 30% of non-millennial employees. Millennials want recognition tools: Our own research with millennials pointed out that 54% of millennials wish they had a way to recognize peers for a job well done. Leverages peer-to-peer recognition: In today’s cross-functional, multinational workplaces, the traditional manager-subordinate recognition structure is outdated. Tools that allow colleagues to give each other praise better capture the dynamic of peers helping each other regularly in the workplace. Is digitally accessible: Employees are tech savvy and expect their tools to be digital. Make sure any tool you select works across desktop, laptop, tablet, and smartphone devices. Ensures 24/7 access: Great deeds happen all the time. Make sure whatever tool you use is always available so recognition can be given on the spot. Includes sharing features: The only thing better than being recognized for a great job is others knowing how hard you worked. Find a tool that makes sharing recognition of good deeds across your organization a cinch. 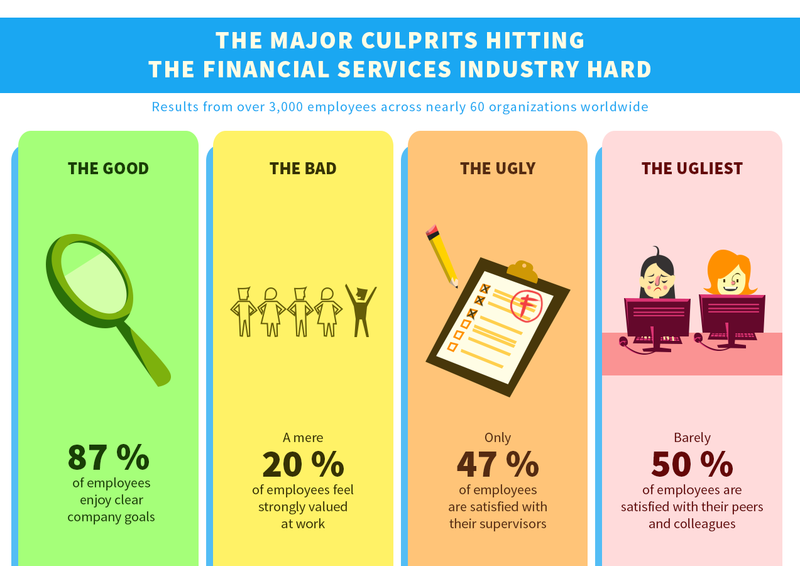 How often have you heard the phrase “you don’t quit your job, you quit your boss?” Well, in the Finance & Insurance industry, it seems like people sure are looking to quit their bosses. When we asked employees to rate the performance of their supervisors, less that 50% reported being truly satisfied with the caliber of their manager. The question, of course, is why? What factors lead to general dissatisfaction with direct supervisors? Employees offered candid responses to their ratings, resulting in three clear factors rising to the top: 1) poor communication style, 2) failure to allocate time to their employees and teams, and 3) not allocating time to their employees’ personal development. [My manager] doesn't help with personal development. [My manager] will talk to employees when setting up goals and personal development but doesn't help follow up on goals or personal development throughout the year so it's always a surprise come review time. I rarely meet with [my manager], and when I do, I am lucky to get more than 5 minutes. Even then I don't always have his full attention. Because he is distracted, he doesn't listen closely, and often starts replying before fully understanding my question. Discusses confidential matters with another team member. Doesn't relay important information the team need to do their job. Doesnt stand up for or support the team. Any communication is done by email. When employees have to spend each and every day with underwhelming and uninspiring managers, it’s no surprise they lack workplace satisfaction. But there are definite steps any organization can take to improve the caliber of their managers. Organizations looking to elevate the quality of their leaders should focus on two key steps. First, they must ensure that only those individuals that are leadership material are promoted to managerial roles. And second, they must measure leaders’ managerial qualities to learn where there are opportunities for improvement. Ability to be a mentor: As future managers, you’ll want any prospect to have the ability to lead their team. Consider moments where an individual has mentored others or perhaps helped fellow colleagues learn a new tool or program. All of these are examples of an individual open to becoming the guide that younger employees expect. Ability to handle conflict with grace: Working across functional teams, geographies, and seniority levels can be tough. An individual that manages such situations with ease is likely someone that can also handle the additional stresses of managing a team. Ability to communicate well: Employees want clear goals and expectations, and senior leaders want a clear understanding of the challenges facing their business. Seek out individuals that are able to connect with colleagues effectively and openly. Ability to get the job done: While this should go without saying, favoritism has no place in the workplace. No matter how much an employee is liked, it is critical that they are ready, willing, and able to work hard and meet their objectives. How good are your leaders at managing others? Do you know? Do you even have a way of finding out? If you aren’t using employee engagement surveys to gauge employee satisfaction with supervisors, it’s time to start. 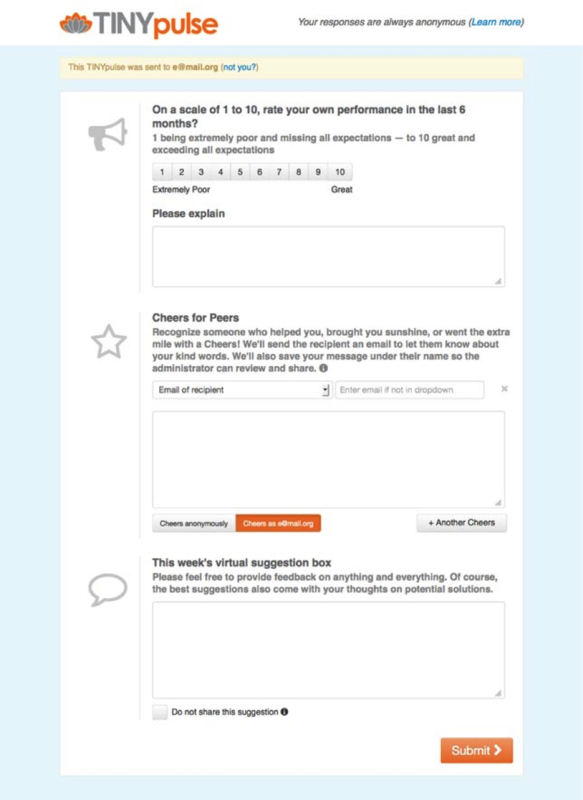 Consider some of these questions found in TINYpulse. 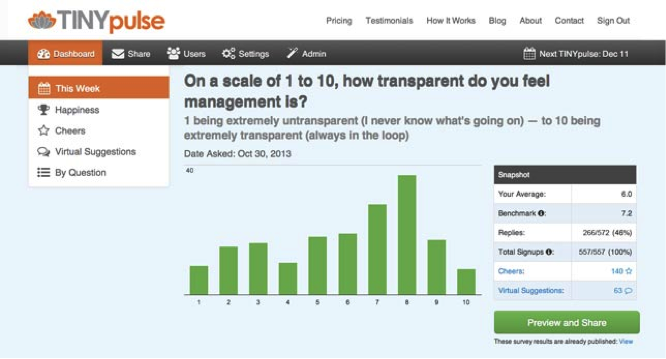 With easy scale or yes/no questions, you can quickly assess at a glance how your managers are performing. 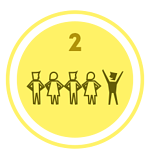 “On a scale of 1 to 10, how would you rate the performance of your direct supervisor?” You’ll want a topline view of managers and their general performance. 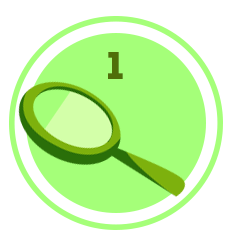 You can always probe deeper with subsequent questions, but setting a general benchmark lets you know what to optimize against. “Has a supervisor given you any recognition in the past two weeks?” As we already discussed, workplace recognition and appreciation are crucial for employee satisfaction. Managers that fail to understand this will fail their employees overall. “Do you feel comfortable providing upward feedback to your supervisor?” Healthy relationships require back-and-forth conversations, and the manager-subordinate one is no exception. You’ll want to gauge how comfortable employees really are with their supervisors. “Do you feel that your manager has clearly defined your roles and responsibilities and how they contribute to the success of the organization?” Workplace satisfaction also comes from meeting and achieving objectives. If managers fail to set clear goals for their employees, their team will never know what to work towards. Just keep in mind, negative scores don’t mean it’s time to fire people. Rather, they can serve as a foundation to know where issues exist and where additional attention is needed to improve workplace interactions. 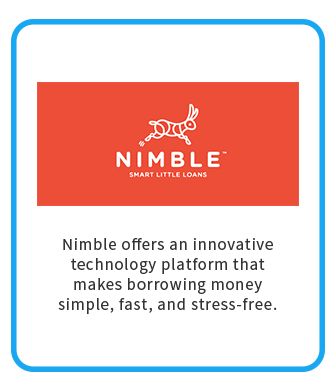 Nimble, a company providing easy, simple loans online, had grown quickly. Aiming to be as quick footed as their name implied, the team adopted TINYpulse to promote a culture of transparency and open feedback. Their customer care center was staffed by full-time and part-time employees, each of which had different compensation and reward structures. Thanks to TINYpulse feedback, the leadership team soon learned that these distinctions were bigger pain points that originally imagined. The candid feedback received via the platform enabled managers to share verbatim responses in an open team setting, opening up conversation about a sensitive topic. Through regular input sessions, managers gained additional feedback to make significant changes to the the overall compensation structure. This crowdsourced approach resulted in a broadly accepted change. The entire Nimble team was happy with the compensation evolution and responded to the process in a positive way. Our 2014 Engagement Report showed that peers are the #1 driver of employees going the extra mile in their workplace. Troubling news, given the findings we uncovered regarding peer-to-peer satisfaction among Finance & Insurance workers. When asked how they would rate their team members, nearly 50% were indifferent or dissatisfied about their caliber. As was the case with supervisors, there were three clear indicators of colleague dissatisfaction: 1) having poor attitudes, 2) not being motivated or taking responsibility, and 3) not being qualified for their role. [My colleagues] seem to need a lot of hand holding and they are not taking responsibility of their own [projects]. The skillset is definitely NOT up to par for the changing technology and systems, the poor and negative attitude brings down the rest of the team, and that does not create a positive reflection of [our product] for our customers. [They are] full of attitudes and little accountability. Most want to push the buck onto someone else and start any conversation with a chip on their shoulder. [My] company has taken on a lot of employees that are not competent to carry out their job role, these employees are bringing the overall performance of the team down. But it doesn’t have to be this way! Leaders looking to build collaborative, engaging workplaces have the power to build strong teams that motivate each other and help drive innovation and organizational success. Fit with needed skills: What certifications, training, and education does your new hire need to have? Some things can be learned on the job, but others are paramount for them to be able to do the task at hand. Fit with your product or service: Does your potential hire have a strong affinity for what you do? Does it really resonate with their interests? If so, they’ll be that much more likely to go the extra mile and make sure people hear about it. Fit with organizational values: What features are key to your organization’s culture? Is it always putting the customer first? Or maybe it’s always putting in the extra hours or being an innovative thinker. Whatever those values are, make sure to probe on them throughout the interview process to increase your chances of finding that perfect new hire. And don’t forget, skills can often be learned. But personalities rarely change. No matter how well qualified a job candidate might seem, a toxic employee will pollute your entire workplace. A candidate that does not fit your culture and values is not a sacrifice worth making. 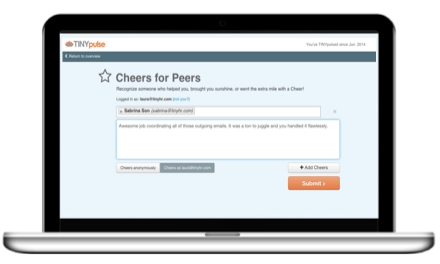 Companies across a wide swath of industries are leveraging TINYpulse in innovative ways than any company can learn from. 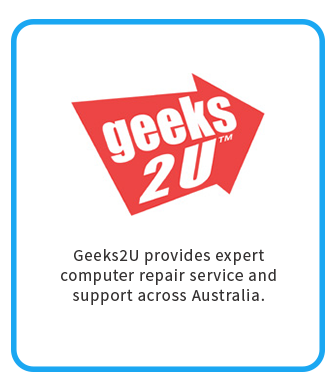 Geeks2U, an Australian computer repair and support service, leverages TINYpulse’s weekly pulsing surveys for its standard purpose: to let managers stay on top of the ebbs and flows in employee sentiment and nip engagement issues in the bud before they get out of hand. But being in an industry sector that regularly fights for top-tier talent led them to leverage TINYpulse in a new way: recruiting talent to set their company apart from competitors. On their Join Our Company page, Geeks2U announces, “Work in a fast growing company with a friendly, energetic culture.” Thanks to TINYpulse, they are able to prove that their culture truly is “friendly” and “energetic.” They publish their employee responses to the regularly asked “How happy are you at work?” question. Consistently trending above the average, Geeks2U can handily prove to job candidates that they are a dynamic, positive employer. It’s why they never shy away from mentioning their use of TINYpulse in all of their recruitment materials. And it’s how they regularly recruit the friendly, energetic employees that set their business apart. 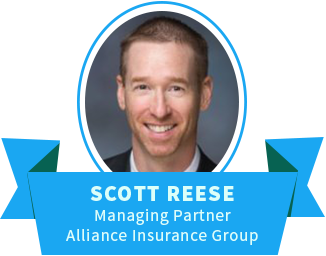 If you’re a leader in the Finance & Insurance Industry, these findings might have you ready to bolt for the door and start in a new sector altogether. But that would be hasty. True, this report does uncover a host of challenges facing this industry’s employees. But it also lead us to tangible solutions that any leader can implement for positive, tangible improvements. Leverage Peer-to-Peer Recognition Tools: Stop assuming only managers should offer recognition and appreciation. In today’s cross-functional and matrix-driven organizations, this approach is obsolete. Empower colleagues to recognize each other with peer-to-peer recognition tools, and your employees will feel valued for all of their efforts ... including those that their supervisors don’t see. Focus on Culture and Fit During the Hiring Process: Skill is not enough. If a job candidate does not possess the cultural or personality traits that you want to spread through your workplace, then they are not the right person for the job. Skills can be taught, but you can’t teach fit. Promote From Within—If They Meet Your Culture Needs: Leaders must have the relevant knowledge and experience to lead others, but they must also possess the ability to mentor junior employees, foster transparent communication, and tackle challenging situations with grace. If these additional traits don’t exist, then it doesn’t matter how brilliant this prospect is. They are not cut out to lead others. Measure and Assess Managerial Performance: Don’t assume managers are doing a good job. Ask their subordinates. Embrace employee engagement surveys to stay on top of managerial strengths and weaknesses, and use them as a springboard to mentor leaders and improve their leadership style. 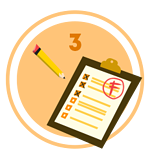 Create an action plan in your organization to tackle these to-dos. Some, like hiring for fit, can be implemented right away. Others, like introducing an employee engagement survey tool, may take a bit more time while you gather institutional buy-in and implement it throughout the organization. Regardless, it’s time to act. Showing your employees that you are committed to change is the first step to creating a more engaged and happier workforce. And the more of these tactics you roll in to your organization, the more productive and competitive your organization will become.